classic | I Love Cafe Racers!!! 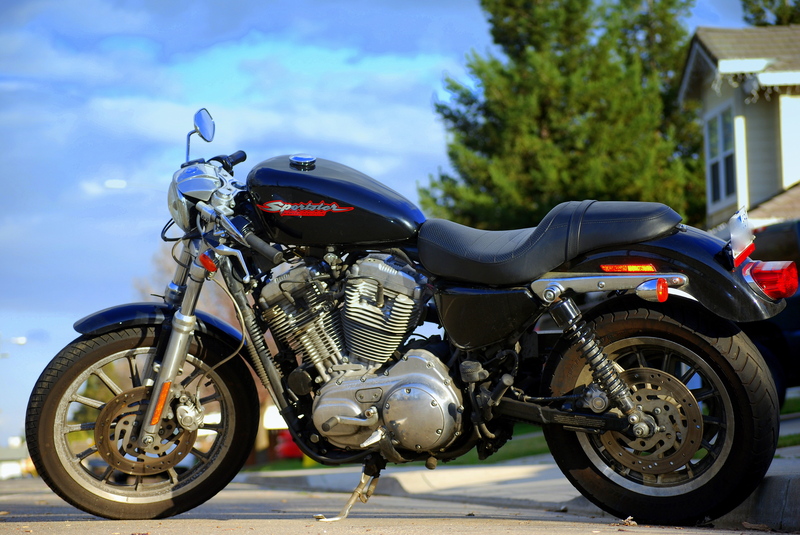 A while back I posted a listing for a Hogbitz Sportster cafe racer that was the most expensive bike to ever hit the blog ($25K asking price). It was relisted at least once, if not multiple times. This Norton comes in a close second with a Buy-It-Now price of $22,500. As is this the second Norton in a row I’ve posted, it is interesting to compare the bikes, and what differentiates an unrestored Norton Commando from a fully restored and cafe-racerized (including lots of motorwork) Norton Featherbed/Manx. I guess the difference comes down to this 1962 Norton being what is essentially a show bike with a hopped-up motor you could ride, versus the 1971 Norton Commando posted before being an unrestored daily rider that has a frame in good shape with “no visible cracks”. You decide. $22.5K for a beautiful bike that has been gone through with a fine-tooth comb, or $7.5K for a bike that you might put a little elbow grease into over time (and maybe a motor rebuild while you’re at it). It would be interesting to see what this bike sells for, but it is a Buy-It-Now with Make Offer (2 offers so far), so we won’t be able to watch any climbing auction prices. Here’s a nice looking example of a first-gen Commando that has been converted to cafe-racer duty. Overall, the modifications are spot-on, but I do have one minor quibble: the rear ride height. Shocks one inch longer would really balance the bike front-to-rear, and lifting the back end up would also probably quicken the handling just a smidge. Other than that, this is an unrestored runner that is currently not seeing much action in the auction. There is a a day and a half left in the auction, and the current price is $4,550. Reserve has not been met, but there is a Buy-It-Now price of $7,500, so we can probably assume the reserve is set somewhere around $7K. With only two bidders so far, it seems there isn’t a huge chance the bike will end up selling. Up for auction on eBay with about a day left is this nice-looking BSA Lightning. The seller seems to have done a lot of work to it (details copied from the original listing and pasted below), and it certainly looks the part. Interestingly, the bike seems appear to have a mechanical/hydraulic hybrid front brake (see the last picture below). I think it wouldn’t be inappropriate to have a brake reservoir on the clip-on givent hat it is a disc front brake, but I appreciate the stripped-down look. Overall, a very clean build with classic good looks. And I forgot to add this in originally: no chain. I’m not going to write a lot about this bike. I’ve written about lots of these, so if you want to read more search the archives. This bike is probably the cleanest XLCR that I’ve seen come up on eBay at auction. It isn’t completely original however, as the seller has put some kind of non-stock muffler/straight-pipe on the bike. Currently the bidding is at $1,025 with 5 days left and just a few bidders. Of course, at this price, reserve has not been yet. There is a Buy-It-Now offering the bike for $11,500 if that’s how you roll.